the lives of those people, each with a story to tell. 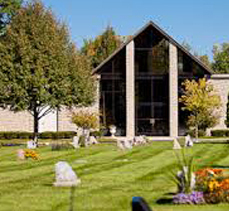 Clinton Grove Cemetery, located in the center of beautiful Macomb County, has been the premier place to go since it was organized in 1855. 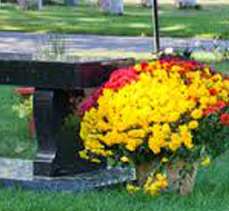 We are considered “Macomb County’s Oldest operating Cemetery.” We are the historical, horticultural, architectural, and sculptural gem of Macomb County. Our magnificent collection of trees, shrubs, flowers and plants make for an exceptional green space in an urban area. This “green space” provides a wonderful refuge for birds and small animals, as well as a showplace of extraordinary architectural and sculptural treasures. As a non-sectarian cemetery, Clinton Grove is open for burials of all races, religions and walks of life. The Cemetery is the final resting place of over 30,000 people and growing. It is a place to celebrate the lives of those people, each with a story to tell. With nearly 5 acres remaining for future development, Clinton Grove Cemetery will continue to inter people for many years to come. We encourage you to learn more about Clinton Grove through the links provided on our website. 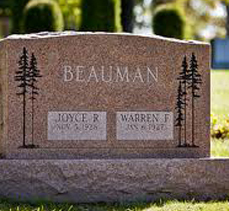 Our Genealogy Search feature will not only tell you where your family member or loved one is located in the cemetery, in many cases a picture of the memorial marker is also there for you to view. Our professional, knowledgeable, and caring staff is here to serve our families and visitors, and we will be more than happy to answer and questions you might have. We hope that you will call, email, or visit Clinton Grove in the near future.